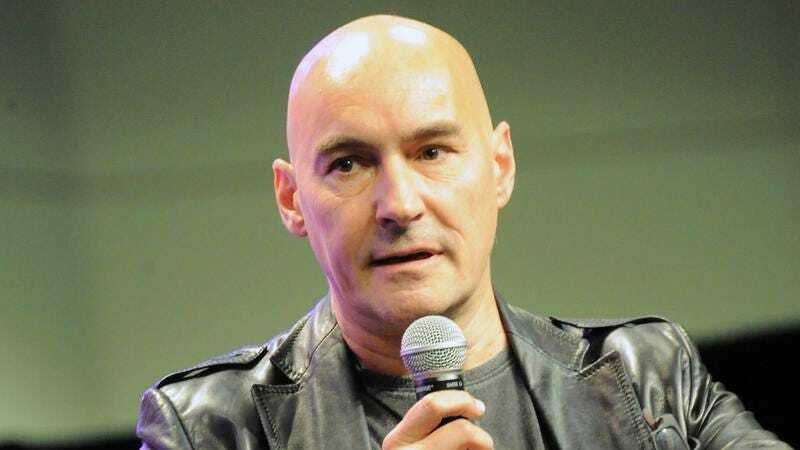 Acclaimed Scottish comic-book weirdo Grant Morrison made an appearance at Comic-Con in San Diego last night, where he surprised fans at the DC: Meet the Publishers panel by showing up not only to plug his upcoming Wonder Woman: Earth Two—which he describes as “the Empire Strikes Back” of the series—but to make the unexpected announcement that he’s writing a sequel to his 1989 fan favorite Arkham Asylum. Explaining that he’s always felt that Arkham Asylum was his personal “jumping the shark” moment, he said that, after some consideration, he decided to “take that ‘jump the shark’ idea and do the best Batman book there’s ever been.” With art from Chris Burnham, who worked with Morrison on Batman Incorporated, Morrison describes Arkham Asylum 2 as an outrageous, Luc Besson-esque sci-fi thriller set in a future timeline where Batman’s adult son Damian has taken on the Dark Knight mantle. Morrison also gave the extremely specific detail that the book will be 120 pages long, but failed to provide a release date.